The Ferndale is a 28-foot Travel Trailer. It features twin beds, heat & A/C, microwave, refrigerator, stove, coffee pot, dinette, living room and bathroom. The Ferndale provides all the comforts of home including a deck with a picnic table and an outdoor charcoal grill. Click on the photo to enlarge. 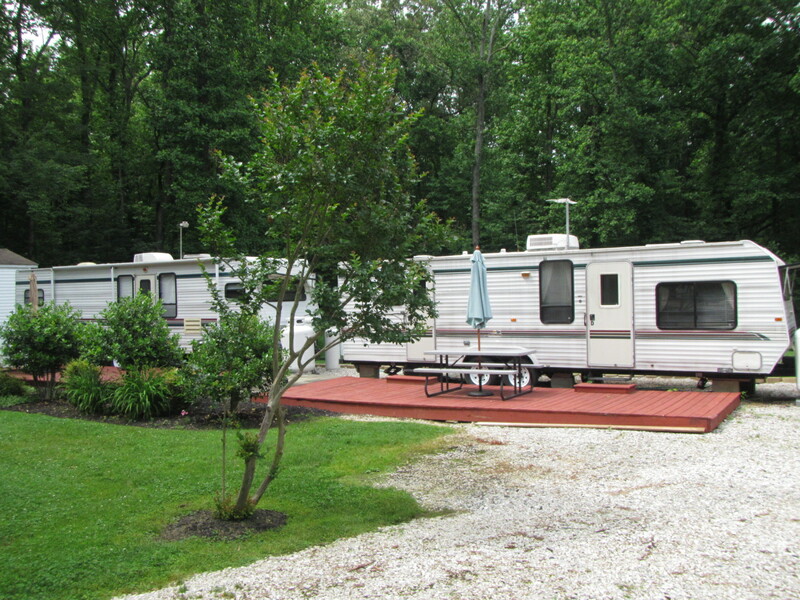 The Ferndale unit is the trailer on the left.